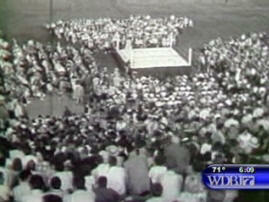 The two screen captures seen below are from a WDBJ news feature on the history of events held at Victory Stadium. 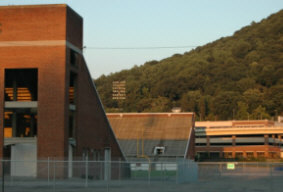 The feature aired on June 26, 2006 as demolition began on the "grand ole lady". 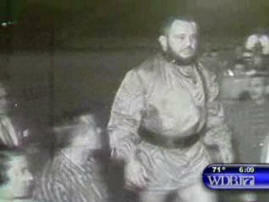 The wrestler walking to the ring in the screen capture below is Ivan Kameroff. 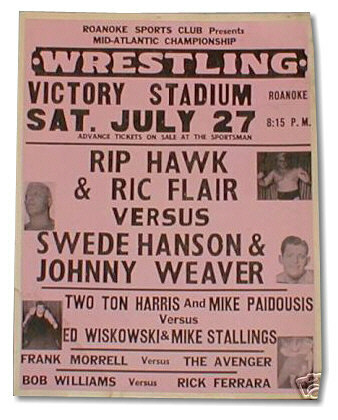 Our friend Carroll Hall (www.wrestlingmemories.com) had guessed that correctly, but we recently had it confirmed by an e-mail from Kameroff's son Jim Karney, as well as his grand-daughter. 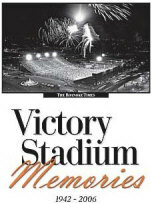 Arial view of Victory Stadium, 1950s. 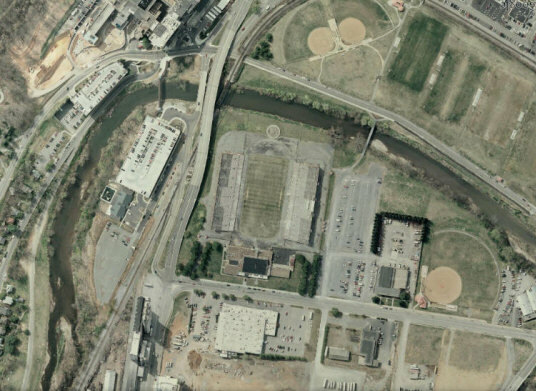 Satellite view of Victory Stadium, the Roanoke river wrapping around it which flooded the day of its demolition. 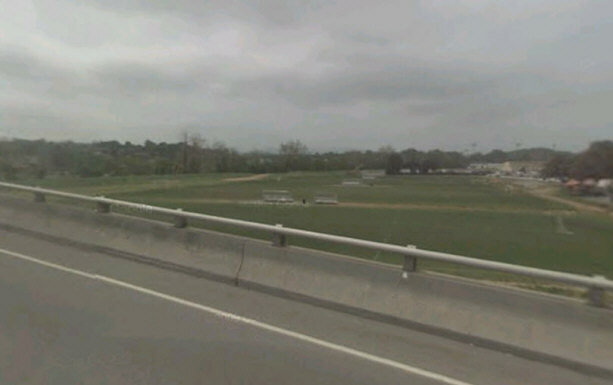 The empty lot where Victory Stadium once proudly stood. 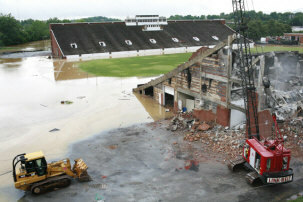 Photo #1: Demolition machines sit in the Roanoke River floodwaters which rose into Victory Stadium on Tuesday afternoon during the demolition. 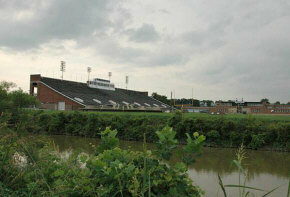 Photo #2: Kayleigh Coker and her brother Nicholas play in the Roanoke River floodwaters surrounding Victory Stadium. 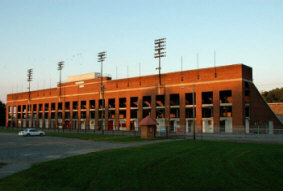 Photo #3: A last message spray painted on the side of Victory Stadium on Sunday night is reflected in floodwaters inside the stadium. 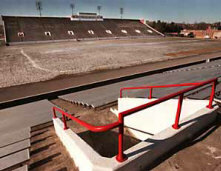 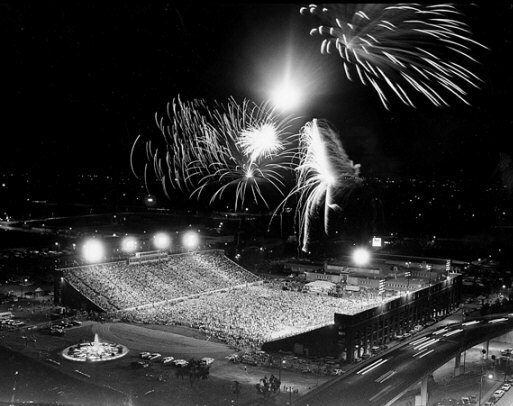 Photos, articles, slideshows, movies, all documenting the sad and stubborn fall of Victory Stadium.